It goes without saying that a shingle that weighs 80 pounds per bundle versus a shingle that weighs fifty will prevail over the long haul. So when you’re meeting with our roofer, ask what it would cost to make the leap to a laminated, heavy-duty designer shingle, commonly known as an Architectural Shingle. The old 20 to 25 year shingles, called the standard 3-tab, will keep the rainwater out but here’s one of the many ways that the two styles are different. If you should ever want to sell your home, an interesting situation unfolds: the realtor will call attention to the 30 year Architectural roof, and will simply not draw notice to the 20 year 3-tab roof. And a recent study indicates that superior to almost every other home improvement, and owner will benefit in excess of the cost when installing a new Architectural shingled roof. For example, a $10,000 new roof will benefit the homeowner to the tune of over $11,000. So if you had some assistance from your Insuror in paying to replace a storm-damaged roof or similar residential roofing in Mooresville, NC, plus the benefit of adding the value to your property, it adds up to the most profitable home improvement you can consider. So add asset value to your home, add durability and long life, and security (and even extra sound-proofing) and add many years to your shingle warranty. Plan on going with Architectural shingles. 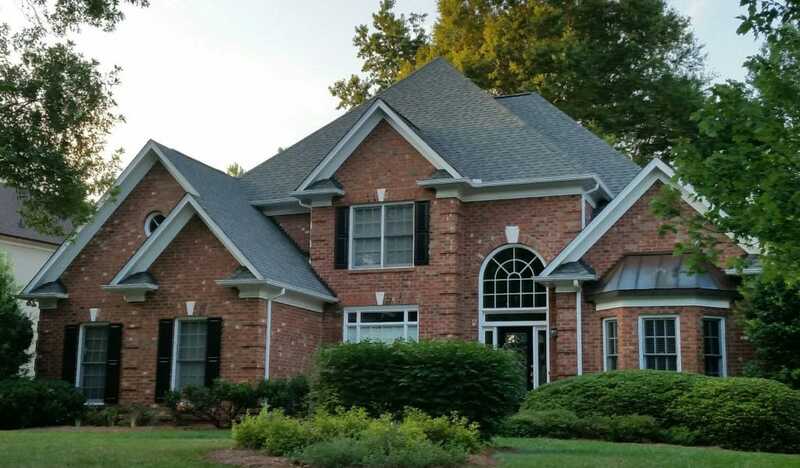 For your roofing needs and concerns, you may call Carolina Storm Roofing, an expert Charlotte,NC roofing contractor. Call and ask for a FREE inspection; we can look at your policy with you but remember that can be a technical, complex legal document. The best person to talk with is your agent, or even your adjustor, if he or she ever visits to determine a claim. Contact Us Today!